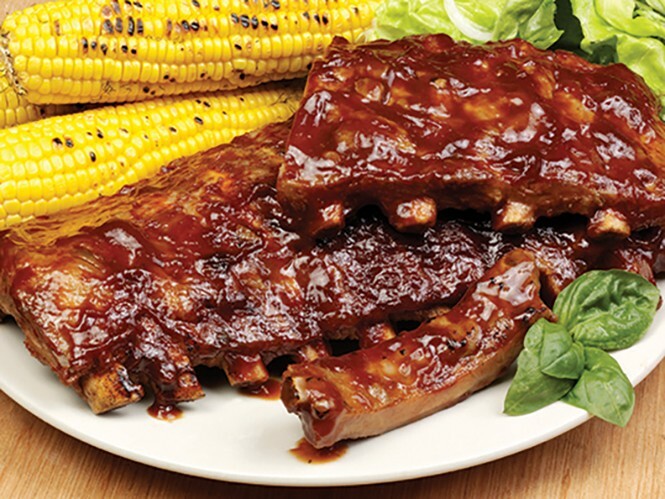 Summer flavors are outdoor flavors, and nothing has more outdoor flavor than barbecue. Grill and barbecue chefs from throughout the Intermountain West congregate at Brian Head Resort (329 S. Highway 143, Brian Head, 435-677-2035) for the third annual BBQ, Blues & Brews event Saturday, Aug. 12, 11 a.m.-8 p.m. Entertainment includes family activities and live music throughout the day, but the star attraction is the chance to taste—and be part of the "People's Choice" judging—of succulent offerings in chicken, brisket and ribs categories. Visit brianhead.com for additional info. If you want to warm up your taste buds for the City Weekly Utah Beer Festival happening Aug. 19-20, you might have time—and stomach room—for more made-in-Utah deliciousness. The Utah Cultural Celebration Center hosts the second annual Wasatch International Food Festival on Friday, Aug. 18 (5-10 p.m.) and Saturday, Aug. 19 (noon-8 p.m.), with a full lineup of music, including Soul Research Foundation, Smiling Souls and Lo-Fi Riot. But the real headliner, of course, is the food, coming from a cross-section of local food trucks (Jamaica's Kitchen, Bandera Brisket, Falafel Tree, Hawaiian Vilo Vilo Chicken and more) plus booths representing other offerings like Spudnik stuffed baked potatoes, Papito Moe's Puerto Rican Grub and Mama Africa. Attendees also get a chance to experience live chef demonstrations. General admission is $5; children 12 and under get in for free. Visit foodfestutah.org for more information. The Park City Culinary Institute isn't just in the mountains anymore; aspiring chefs can now study in the valley. The next four-week Cuisine Certification course begins Aug. 21 at the Salt Lake City campus (1484 S. State) Monday-Thursday. Evening Pastry Certificate classes begin Sept. 6. Visit culinaryschoolutah.com for more details on dates and tuition.